I swung by the zoo for a photo safari and to escape all of the MSD inspired noise, dust and diesel exhaust at home. There is a fair amount of construction going on at the zoo too. The old river otter pens have been removed in the gully between the seals and the big cats. This is the zoo’s main promenade and all of its historic buildings line it. I’m not sure what the zoo’s plans are for this land. It looks like they might be returning the space to something like park land. There are still some big beautiful cedars growing there. Historically, they had small enclosures located there, along with human-animal interaction activities, like elephant rides. I don’t think that the later will make a comeback and I’m not even sure that we need any more small cages. The other big construction project is in the central ponds. In the warmer months, these ponds host flamingos, the one Florida bird species that we missed seeing. They are currently wintering up the hill in the old sea lion show arena. In the winter pelicans are available. On this visit, there was a big yellow CAT in the mud. It looked like it was dredging and was being serviced by another fleet of black smoke belching dump trucks. There is a gift shop that is scheduled for renewal as part of this project. A thought occurred to me. There are restrooms in that building. Could this be yet another part of the MSD global conspiracy? 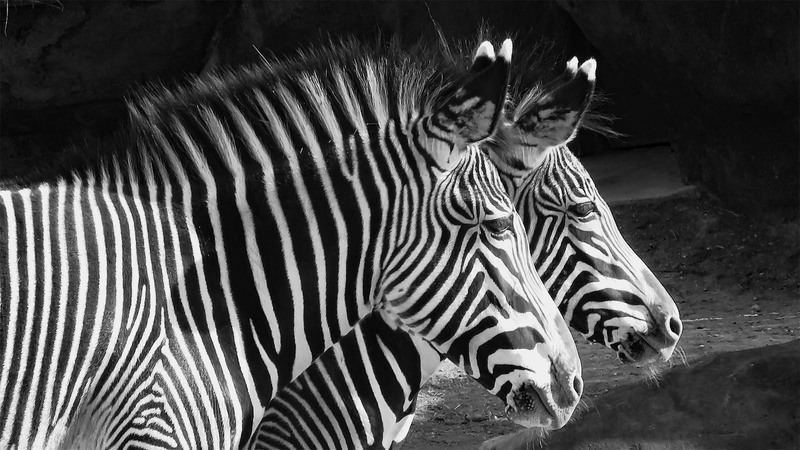 This entry was posted in Photography, Saint Louis Zoo by RegenAxe. Bookmark the permalink. This post makes me want to go to the zoo tomorrow.